Ministers have been urged to "get a grip" after they confirmed more than 100 deportation letters were accidentally sent to EU nationals living in the UK ordering them to leave. 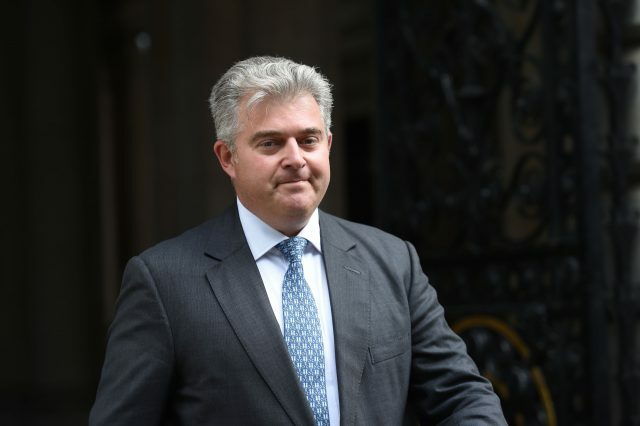 Home Office Minister Brandon Lewis said the error was made as a result of an "incorrect interpretation" of an EEA national's unsuccessful application for a registration certificate, and that he had written to apologise to all recipients. It was previously thought that up to 100 deportation letters had been accidentally posted, after Finnish academic Eva Johanna Holmberg - who was ordered to leave - highlighted the issue. But Mr Lewis revealed the full extent of the mistake in answer to a written parliamentary question from Green Party co-leader Caroline Lucas, who said the Government was treating EU nationals as "second-class citizens". She told the Press Association: "Mistakes like this are simply not acceptable - and add further worry to the lives of EU nationals already anxious about their status here in the UK. These are people who are our neighbours and friends and family, yet the Government is treating them with contempt as second-class citizens. "The Government is turning lives upside down by callously playing hardball over Brexit and creating a 'hostile environment' for migrants. Ministers need to get a grip, and make sure that an error like this never happens again." Ms Lucas asked the Government how many EU nationals living in the UK were "incorrectly sent notifications after 26 June 2017 that they would be deported", and what it estimated the cost to the public purse would be of reimbursing costs incurred by people in response to the letters. "We have agreed to meet any reasonable associated costs incurred as a result of this error. We should be able to quantify the total cost in due course."